“We are human beings, not human doings” – Deepak Chopra,2008. Over the last year or so, I have had two markedly different experiences with Airlines on the same issue. Let me not name the airlines here but rather focus on the experiences. 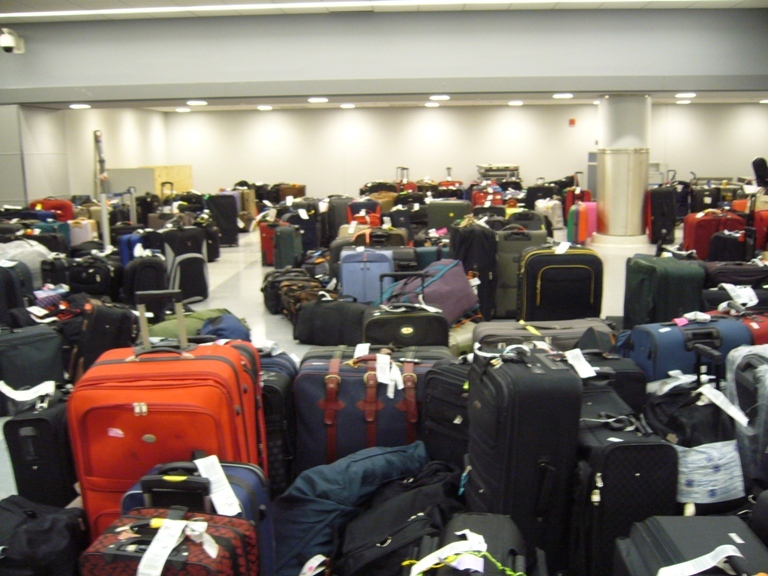 Airline A : I reached Chicago over the airline’s European hub only to find that both my bags had not arrived. It was eighteen hours into the journey and as I stood there clutching the missing baggage report, I was advised by the ground handling staff to call up the airline toll free number for further assistance and updates. Little did I realise that this was the beginning of my ordeal. Countless calls only led me into the votaries of a sophisticated message switch with friendly automated voices always offering a menu of further numbers to be dialed and inviting me to leave a message. I felt like going round and round the mulberry bush! Try as I did, I could never reach a human voice. Several frustrated calls and auto reply emails later, the airline deigned to send a cryptic SMS to the effect that the missing bags were available for collection and for further assistance, could I call them on phone. I shuddered. Visions of me once again failing to negotiate the matrix like maze of the airline communication system haunted me in technicolour. Airline B : A few months later as I traveled on a lesser known regional airline, my bags once again failed to make it to the conveyor belt. As I was getting the passenger irregularity form filled, hearing running steps, I turned around to see the airline station representative come to me. He hesitated and then apologetically told me that since his airline baggage tracing system was still not automated, he would be the point of contact. I remained skeptical but to my pleasant surprise next morning, not only did I get a call from the guy that my bags had arrived but that he had arranged to send them to me. The bags duly arrived along with a box of chocolates and an apology note. What is it that differentiated my service level experiences of these two airlines thus? My thoughts once again returned to “Leadership and Self Deception” by the Arbinger Institute*. One of the great take-away from this book is that our externally manifested behaviour of how we do what we do is never as important as who we are. We hold the choice of how we wish to see people around us. We can choose to see people as people. Which leads us to genuinely connect with people and do what is right. Or we can choose to see people as tasks. Which leads us to see them somehow as obstacles in our scheme of things, stuff which need to be completed and disposed off in the most efficient manner. Airline A chose to see me and my bags as a task to be done. Being a global brand, it used the latest customer response technology. I and my missing bags were a blip in the statistics and graphs. A blip that goes off with no trace once the problem gets sorted. The airline had chosen to follow the path of ‘how we do what we do’. So in all its affirmations of providing the best in class customer service and experience, technology had taken centre stage, employees relegated to being merely the support cast. Airline B chose to see me as a person. Someone with feelings and emotion. Someone who was desperate to find a person who would listen and care. It had put its faith in showing up as ‘Who we are’. Lacking great resources, it had to make do with the few employees it had on the ground and trusting and empowering them. So I come back to why ‘Who we are’ resonated so much more deeply than ‘How we do what we do’ with me. I could intuitively put my trust in the genuineness of ‘Who Airline B was’, complete with its vulnerability and shortcomings. What really mattered to me was that my existence was being acknowledged. Contrast this with the Airline A’s focus on technology and ‘How it does what it does’. For me, this remained what it was, the Airline’s obsession with its own inner process and priorities, not really about me, the client. What is it then that makes many of us, organisations and individuals alike, take the path of how we do what we do? Is this because of the modern day belief that the more we do, the more we have? A belief reinforced by technology that allows us to ‘do’ 24X7, globally, virtually. Is it because as we ‘do’, we get reassured of the results? But could this be conditioning us into a compulsive ‘doing’ behaviour? A behaviour that stops us from being ‘who we are’, something which would have allowed us to gain greater awareness and become more discerning about what we do. I come to the realisation that be it as organisations or individuals, it is only when we remain firmly anchored in ‘who we are’, our core values and competences, and allow ‘what we do’ to flow out of that can we hope to be the true leaders and game changers of tomorrow. Footnote: * In an earlier post titled, “ What if……..”, I had taken reference to the book, Leadership and Self Deception, in a somewhat different context. Acknowledgement: Leadership and Self-Deception: Getting Out of the Box – An Arbinger Institute publication, 2008.